Hello! Thanks for viewing my Kickstarter project, Octo. 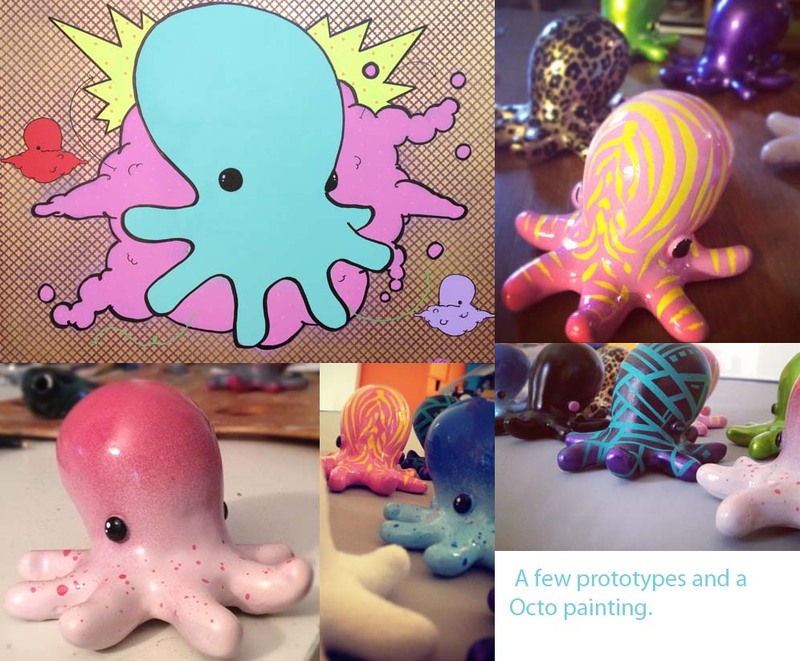 Octo is a character that has been in many of my works and I have decided to make Octo available as a limited run resin art toy. This will be my first art toy made at a production level and I am excited to document and share the entire experience for others to enjoy! 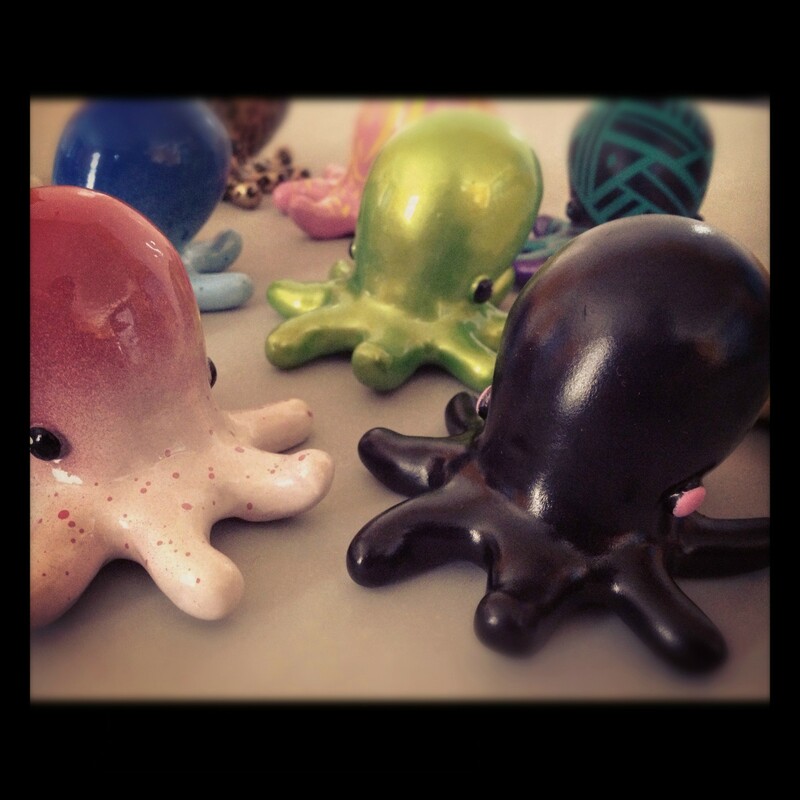 I have already created around a dozen 2 1/4" resin prototypes and now Octo is ready to be produced and released into the wild! With your support and funding, I will be able to acquire the materials and equipment needed to create a quality, finished product. 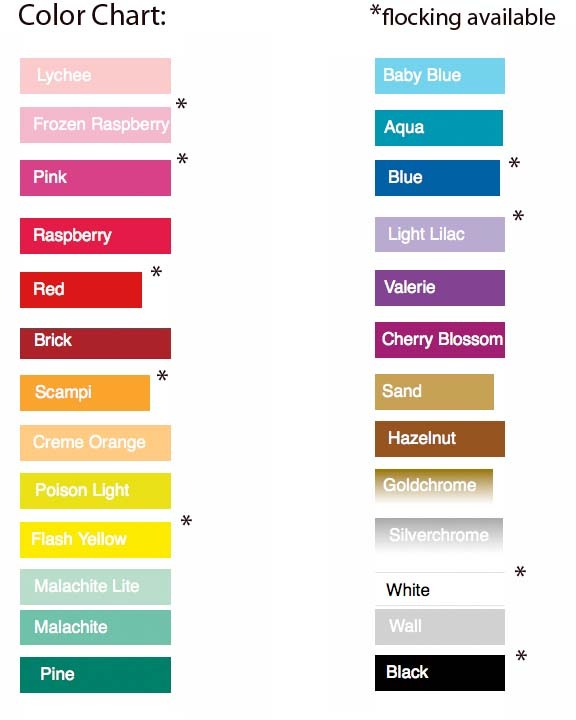 As a special Kickstarter introduction offer, I am letting those that pre-purchase their Octo pick which colorway they want from the color chart below! 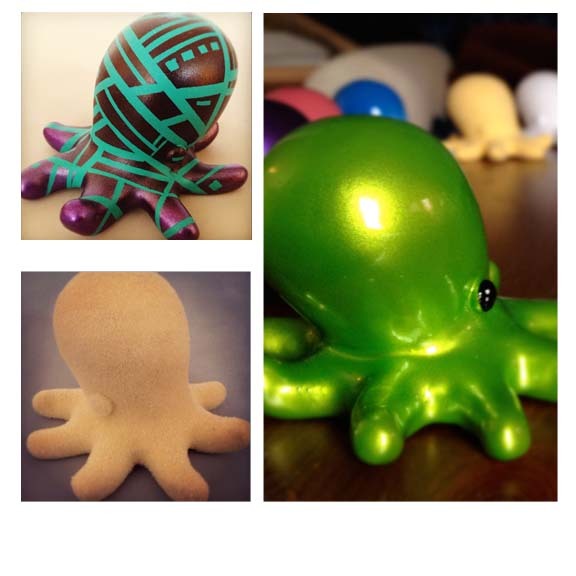 (Please include color choice with pre-purchase) I will also be including some surprise accessories or small art pieces with each Octo noted. 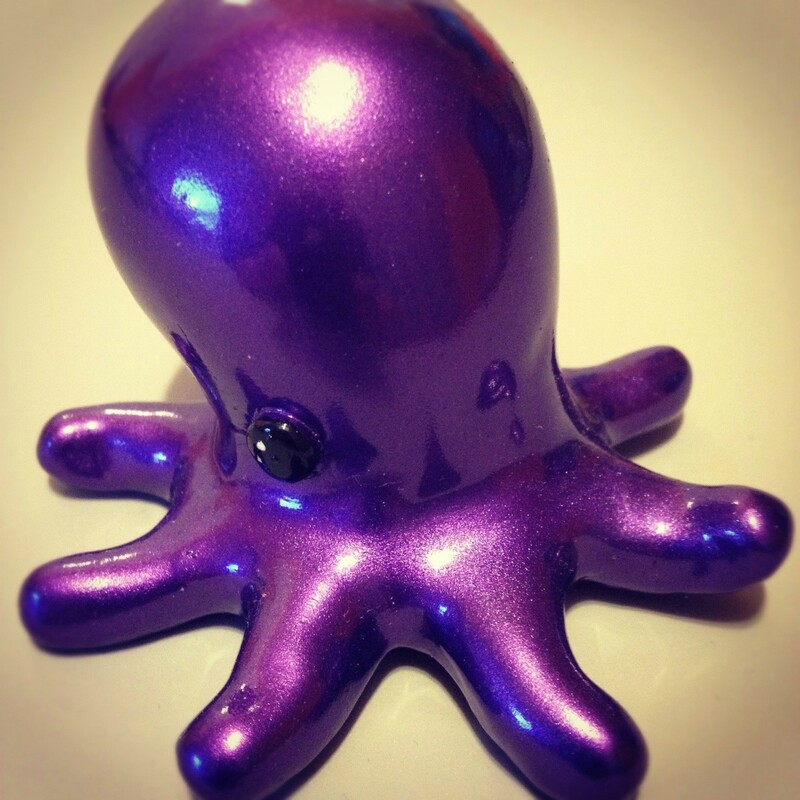 Each Octo will also be signed by the artist. All project funders will be added to the email list and will receive info and updates on the creative process and will be the first to know about all future Octo releases! Thank you again for your support and for viewing my project!